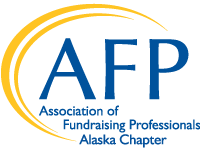 The Alaska Chapter of the Association of Fundraising Professionals (AFP, AK Chapter) is Alaska's only professional organization for fundraisers. 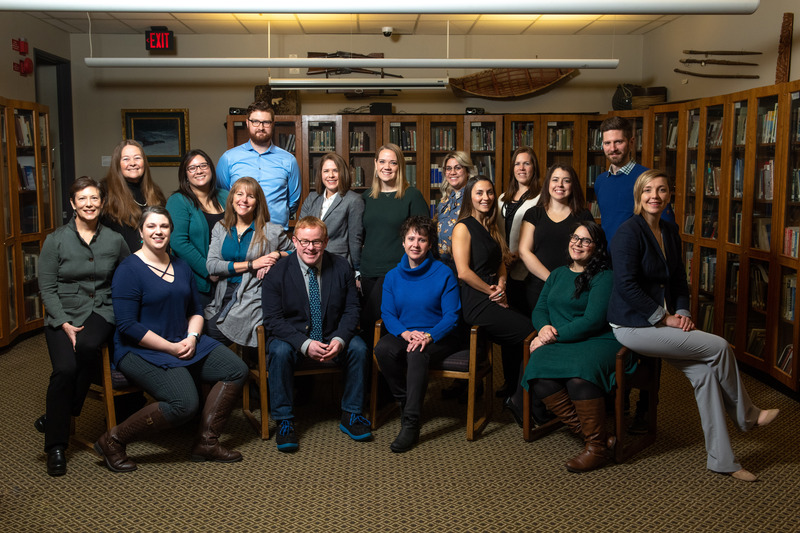 We offer our members professional development opportunities and the chance to network and connect with colleagues, engage in creative thinking, and achieve great results for Alaska's nonprofit sector. We focus on delivering educational programs and events to reinforce ethical and effective best practices and serve fundraisers at every stage of their career. Our offerings include monthly webinars and professional networking lunches targeting mid-career professionals, evening roundtable programs serving advanced executives; and social gatherings for those newest to the field. We also offer CFRE training, work to advance public policy, and give back to the community through volunteer events. And, you won't want to miss our annual National Philanthropy Day, and Summer Seminar, featuring some of the world's leading experts in the fundraising field. We are dedicated to the principles of Inclusion, Diversity, Equity and Access and are eager to engage our members across Alaska. 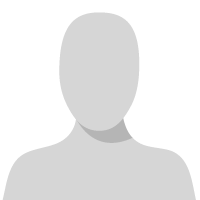 Please use this site to check out our upcoming events and programs, volunteer opportunities, and get to know your Chapter's leadership. Then, contact us at afpalaskachapter@gmail.com to learn more and get involved! Help make AFP Alaska work for you by getting involved and sharing your feedback about how we can better serve you. If you're not a member, join today and connect with your fellow fundraising professionals. Please join us for a very special AFP AK Chapter Summer Series Event as we welcome author, speaker and fundraising futurist, Penelope Burk, as she discusses the findings of her latest research conducted with thousands of American donors. May AFP-PM with #Circleback: Sip & Share "Giving by and for Women"
Copyright 2019 AFP AK Chapter. All rights reserved.